The Africa Business & Society Group's mission is to organize SOM students with African connections and interests to socialize their experiences, knowledge, networks, and passions for Africa-related business, career development, education, impact-creation, cultural outreach, and issue-advocacy – at SOM and at larger YALE. xv)	Partnered fundraising initiatives with African groups at other schools of Yale to support headline health, natural disaster, land-biodiversity, and human rights emergencies (the Africa Healthcare, Earth Conservation and Rights Abuse Fund). The Arts & Culture Club was founded to initiate participation in the arts community, both professionally and socially. Its purpose is to provide opportunities for SOM students to learn about career opportunities in arts management through speakers, alumni, and site visits; to inform SOM students about cultural events taking place in and around New Haven; to organize an SOM Concert in which both faculty and students participate; and to coordinate at least one arts event for the SOM community to attend each year. The Association of Hispanic and Latin American Students promotes awareness of the Latino heritage and Latin American community at Yale through the organization of professional, cultural, and social events. The club is open to all members of the Yale SOM community and is an integrating force for students, partners, faculty and staff on campus. The Black Business Alliance (BBA) works to promote dialogue and activities that will increase SOM community awareness of and responsiveness to issues of importance to minorities. The initiative of the group falls into five categories: cultural enrichment, networking, alumni relationships, recruitment and mentoring. It brings alumni and other speakers on campus, and organizes other professional and social events. The mission of the nonpartisan Business and Politics Club is to engage the SOM community in a balanced, well-informed conversation about issues at the intersection of business and politics by convening students, faculty, and outside experts, as well as scholars from across Yale University. As the umbrella organization for Democrats and Conservatives at SOM, Business and Politics will also provide opportunities for SOM students to be engaged in partisan political activities. The Adam Smith Society is a nationwide, chapter-based association of MBA students and business leaders who work to promote on-campus debate and discussion about the moral, social, and economic benefits of capitalism. The Society is sponsored by the Manhattan Institute, one of the nation’s pre-eminent public policy think tanks. With the cooperation of MBA student leaders, the national office of the Adam Smith Society underwrites and helps to coordinate a series of intimate on-campus events that give MBA students access to prominent business leaders, academics, journalists, and public officials. Speakers discuss their experiences and offer insights about the connections between successful businesses, the maintenance of our nation’s free institutions, and a robust civil society. The Adam Smith Society also convenes national and regional programming for student members and alumni. The Adam Smith Society aims to build an influential network of future business leaders dedicated to preserving and strengthening the free-market economic system. The purpose of the Business and Environment Club is to support students interested in the intersection of competitive business organization and sustainable environmental practice. Within this arena, Business & Environment actively promotes a professional and social network designed to provide enhanced access to SOM alumni, corporations, non-profits and NGOs committed to environmental sustainability. Recognizing that all of SOM’s professional and social activities have an environmental component, Business & Environment acts primarily as a partner/resource for other SOM clubs and organizations and seeks to support the inclusion of environmental factors in their decision-making processes. Business & Environment sponsors and co-sponsors a number of activities throughout the year, including alumni and guest speakers, lunch discussions and professional and social activities. The purpose of the group is to foster an interdisciplinary community passionate about exploring issues and trends in the food, beverage, and agribusiness sectors; support the recruiting efforts of students interested in careers in or focused on the food, beverage, and agribusiness sectors; and promote collaboration within Yale University’s broader food ecosystem while strengthening relationships with alumni working in the food, beverage, and agribusiness sectors. Yale SOM Christian Fellowship is a Christ-centered, inter-denominational student club organized to help satisfy the spiritual and social needs of the Yale SOM community. We are affiliated with InterVarsity Christian Fellowship. YSCF offers the opportunity to build trusting friendships, think through important ethical issues as they relate to business, and learn more about Christianity and what the Bible has to say about personal and professional development. All Yale SOM students, faculty, and spouses are welcome and encouraged to join us. We seek to apply Biblical principles and to encourage one another in practical ways as we experience the joys and challenges of graduate school, career planning and relationship building. The mission of The Consortium for Graduate Study in Management, an alliance of leading American business schools and some of our country’s top corporations, is to enhance diversity in business education and leadership by helping to reduce the serious underrepresentation of African Americans, Hispanic Americans and Native Americans in both our member schools’ enrollments and the ranks of management. The mission of the consulting club is to be an inclusive and collaborative community which informs members about opportunities in consulting, and prepares members for the interview process and the consulting profession. The club also aims to promote Yale SOM to the consulting community. We prepared a diverse agenda for our club meetings that include guest speakers, panels, live practice, and a comprehensive interview preparation curriculum. The leadership is a diverse group of individuals who together will be one of your go-to resource during the recruitment process. Regardless of the level of your interest in consulting, we encourage you to attend the club meetings and go through the documentation we provide as skills developed for consulting interviews are extremely helpful for the majority of MBA-level interviews. Each year, dozens of global CEOs, decision makers and thought leaders visit campus to share insights and engage with students and faculty. It is our job to invite a diverse selection of guest speakers and make sure you know who is coming so that you can participate in all opportunities available to you. The club's mission is to educate and empower Yale SOM students to apply innovation processes and design thinking to business challenges. The mission of the Economic Development Club is to create a vibrant and thriving community of leaders who want to create social impact through economic development. Since economic development stems from efforts across a broad range of fields, we cater to interests that span financial empowerment and inclusion, community and international economic development, infrastructure, agriculture, and global health, among others. We work closely with other clubs to host events that address the economic development aspects of various industries, fields, and geographies. Our mission is defined by three pillars: educate - enhance the understanding the interplay between business and economic development and build professional skills; inspire - plan programming to inspire current students interested in the field and motivate others to become involved in the discussion; and connect - bring students from different backgrounds, alumni and professionals in the economic development field and the local New Haven community together. The Education Club's mission is to promote the interest of SOM students in the industry of education. The Club will do this by 1). providing opportunities for students to volunteer in local education institutions, 2). supporting the career search of students in the education industry, 3). hosting dynamic speakers that are currently working in the education industry, and 4). holding a day long conference dedicated to the current issues in education. The mission of Yale SOM's Energy Club is to keep abreast of business, economic, policy, politics and regulatory issues in the energy sector, inclusive of traditional oil & gas, renewables, and everything in between. The Club also promotes student interest in energy industry careers by providing networking opportunities with SOM alumni and practitioners in the sector. The Mission of the Entrepreneurship Club is to 1) Create opportunities for SOM to interact with entrepreneurs; 2) Uncover professional opportunities for SOM students; 3) Work closely with Yale Entrepreneurial Society (YES); and 4) Integrate with related Clubs (PE/VC, IT) and Sachem Ventures. Joining this group requires a yale.edu email address. The mission of the Finance Club is to broaden the awareness about traditional and non-traditional opportunities in Finance. By educating the Yale School of Management community, as well as by facilitating connections between students, faculty, alumni and finance professionals, we are committed to creating future leaders of the financial world. To equip future leaders across sectors with information on current and emerging technologies and approaches enabling commerce. Fit for Thought is a fitness center for SOM affiliates located in Evans Hall. FFT's purpose is to provide exercise space for the SOM community while raising money for the Internship Fund, a long-held SOM tradition that provides funding for SOM students to pursue unpaid or underpaid summer work in not-for-profits, social enterprises, and B-Corps. The center is to be used on a membership-only basis. Fees can be paid by joining the group through CampusGroups at https://groups.som.yale.edu/Fit/club_signup. To connect people and build community through explorations of food, wine and more on social, educational and professional levels. We organize events including social events like the Chili Cook-Off, Wine Class, whiskey tastings, small group dinners and more. The mission of the General Management Club is to foster the development of leadership and management as an orientation focus in Yale SOM, as well as to facilitate the relationship among students, faculty, alumni and operations professionals. By assisting students in their professional development, the General Management Club is committed to increase the reputation of SOM students and to help them initiate a successful career in areas such as Operations, Corporate Finance, Supply Chain, Internal Consulting, Leadership Rotational Programs and Strategy. Provides pro-bono consulting services to internationally focused non-profit, public and private sector organizations with the goal of making a positive social impact. By forming partnerships and assisting these organizations, we hope to strengthen SOM's ties to the global community. Through these relationships, students will encounter enriching learning opportunities that will allow them to apply their business/management skills towards the support of an international social purpose. China today is a significant yet often misunderstood player in the international business and political world. In recognition of China's growing presence in the international arena, the Yale School of Management offers an array of courses on China. The mission of Greater China members is to better understand the complex and often changing political, economic, and social issues in China as it pertains to today's global economy. GC aims to create forums to discuss current issues, exchange information, share predictions, challenge ideas, and dispel misconceptions. In doing so, we hope to develop a presence as a resource within the greater Yale community, experts among other business school peers, and future managers in the region. The Healthcare Club provides education and career development for students in the healthcare industry, provides networking opportunities for students, promotes healthcare events and opportunities at SOM and throughout the University, and promotes wellness and health related community service. The SOM Hockey Club is the school's largest club for a reason: it's the perfect opportunity to get to know your classmates while learning a new and exciting sport! Players of all skill levels meet every Wednesday night at Ingalls Rink to learn new skills and practice the fundamentals through structured drills and friendly scrimmages. The highlight of the season is the annual Garstka Cup, in which first-years and second-years face off in a heated battle. All SOM students (and partners!) are encouraged to join. The Human Capital Club seeks to raise student interest, awareness and achievement in the human resources function. HCC is committed to establishing connections among students, faculty, alumni, professionals and organizations in this critical area and will provide training, preparation and resources to support future leaders across sectors. The first of its kind among the nation's management programs, the Internship Fund provides financial support to students who pursue summer internships in the public or nonprofit sector between their first and second years of study. Since the inception of the Fund, approximately 20% of each class has received funding. The Internship Fund has a commitment to ensure that students who wish to apply their skills in public and nonprofit organizations for the summer can do so without regard for financial constraints. By awarding stipends for low-paying summer internships, the Fund not only nurtures SOM students' education within the public and nonprofit sectors, but also strengthens the management of all sectors. This group provides a forum for students who seek future careers, or have a general interest in investment management. The group promotes awareness of the industry and addresses the unique challenges of pursuing an investment management career. In addition to organizing events aligned to our mission, we act as Admissions Ambassadors for Yale SOM to Japanese prospective students and work with the Career Development Office to gather information about summer internships and permanent jobs in Japan and Japanese firms. 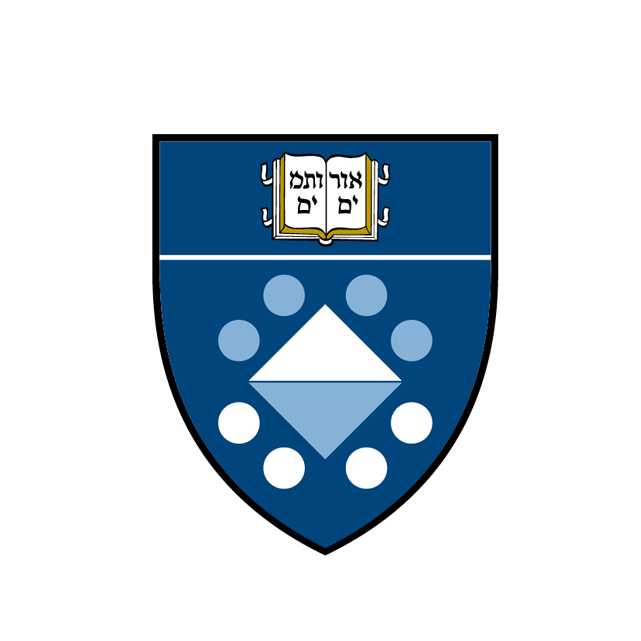 The purpose of the Jewish Student Association is to bring together the Jewish Community at Yale School of Management and expose it to activities and learning opportunities within the greater Yale University community. KABA (Korean American Business Association) is a professional and social organization for all students interested in Korea. The club mission is to promote Korean social, cultural and business interests for the SOM community. The club achieves its mission through five main types of activities, but not limited to: social (BBQ parties, potlucks); cultural (Chusuk & Lunar New Year happy hours); educational (International month presentation, guest speakers); community (adopted friends, mentorship); and networking (corporate presentations, alumni receptions). To create an unforgettable and enriching experience through an environment based on respect and inclusion, leadership opportunities for those who seek them, and relationships based on goals and understanding of our diverse cultural backgrounds. The Marketing Club's mission internally is to encourage marketing as an educational focus and to assist students with their professional development. Externally, its mission is to enhance the overall reputation of SOM marketing students and to provide a forum for interaction between marketing students, faculty, alumni and marketing professionals. The mission of Media and Entertainment Club is to bring light to current issues and job opportunities in the media and entertainment sector through informational sessions, guest speakers, networking conferences, possible mentorships and other additional efforts. Additionally, the Club seeks to promote Yale SOM within the industry in order to increase awareness of the Yale MBA, establish contacts and attract M&E recruiters and prospective students interested in the field. The SOM Net Impact Club provides education, events and career guidance for SOM students pursuing careers in non-profit management, public management and socially responsible business. The Club also functions as an umbrella organization, coordinating activities relating to social enterprise and socially responsible careers with faculty, staff, and other clubs on campus. Other related social enterprise related clubs include: Economic Development, Environment, Healthcare, SOM Outreach, Arts and Culture, Board Service, Community Service, The Internship Fund, Food for Thought and others. Social Impact Lab is a weekly speaker series that offers a unique, inspiring opportunity to learn from powerful leaders from within and beyond the SOM community. We ask challenging questions and discuss thought-provoking issues that get at the heart of what it takes to make positive social and environmental change. We will hear from leaders with extensive experience in social sector organizations about their career paths, the compelling questions they’re facing in their work, and their aspirations for the future. Speakers come from a wide range of backgrounds, including non-profits, B-Corporations, for-profit social enterprises, consulting firms, and other mission-driven organizations. Through SI Lab’s weekly series with these leaders, we will gain new personal and professional insights that empower us to pursue a purposeful and meaningful career. Join us to be inspired, get to know leaders, and enjoy a free lunch. The purpose of Nonprofit Board Fellows is to create opportunities for SOM students to serve on nonprofit boards in and around New Haven. The Club will recruit and screen nonprofits that can provide a worthwhile leadership opportunity for students and select students with a high motivation to serve on the boards. Nonprofit Board Fellows will provide training and support for students during the term of their service. The mission of Out Of Office is to provide a forum for the exploration of lesbian, gay, bisexual, and transgender issues within the Yale SOM community and future professional settings. The objectives of Out Of Office are to: 1) Provide a support system for LGBTQ+ students within the SOM community; 2) Provide a social network for LGBTQ+ SOM students to interact with the broader Yale community; 3) Work as a general information resource on LGBTQ+ issues for the SOM community; 4) Provide recruiting, networking, and other career development opportunities for LGBTQ+ students; and 5) Foster an open community of gay and non-gay students, professionals, and alumni. The Partners Club strives to involve students and their partners in the SOM community by providing a social setting to meet other SOM couples, to integrate them into the Yale community, and to help with their relocation to New Haven. Our mission as the Private Equity & Venture Capital Club is to raise the profile of the Yale School of Management ("SOM") in the private capital community. The Club educates students regarding private equity, educates private equity professionals about SOM and facilitates opportunities for the two groups to interact. PS provides a supportive learning environment where members can hone their communications skills. This is achieved through professional speaker workshops that provide the theory and student led workshops that provide the continuous practice. Together with the consulting club, PS co-hosts the ‘BS Competition’ a fun event where participants get to test their improvisation skills. We will organize 1) guest speaker events in coordination with professors and speakers within or outside of SOM such as Yale school of drama; 2) practice workshops where you get to learn the practical skills and actually practice! We hope to help you improve and also we hope you have fun! The goal of the Real Estate Club is to promote and increase awareness of the practice of, and professional development opportunities in, real estate, including development, financing, management and commercial brokering aspects. They will be co-sponsoring an Economic Development conference and other conferences, hosting speakers and alumni events, and compiling a resume book. This group also holds real estate run breakfasts. The Responsible Investing Club serves to educates SOM students about the developing field of sustainable and responsible investing and help students establish a career in the space. The mission of the Retail Club is to 1). Increase knowledge and awareness of the many opportunities in the retail and consumer products industry through corporate speakers, networking events, career fairs and other activities, and 2). Help students secure employment within the retail and consumer products industry and with particular emphasis on the following segments: apparel retail, high end retail, non-apparel and consumer products. The Silver-Haired Scholars (SHS) is a Yale School of Management Affinity Group that provides a space for the older-than-average students in our community to share common goals, experiences and concerns. Whether a student is quantifiably old, or simply old-at-heart, SHS aims to improve the student experience at SOM through the professional development, social events, and education and experience sharing. Professional development. Older students often face a different set of concerns in the recruiting process, notably location constraints, family planning, and significant prior professional experience that frequently does not match MBA-oriented recruiting processes. SHS works with the Career Development Office to develop appropriate resources as well as provide relevant networking opportunities. Social events. Going back to school after 7-10 years in the work force can be daunting. SHS provides a non-judgmental space for older students to come together, discuss the novelty of technologically-enhanced learning environments and generally support one another at social events that fit the audience – that is to say, at a reasonable hour, with low music and lots of light . Education and experience sharing. The beauty of being above-the-average-age, is that our members have significant life and professional experience to draw upon. Whether through brown bag lunches to learn about niche industries our classmates have worked in, thematic small group dinners to share life experiences, tips and tricks or a silver-haired trivia night, SHS establishes a platform to share with the wider SOM community. The Ski & Snowboard Club seeks to 1). Encourage and facilitate within the SOM community skiing and snowboarding as exceptional fitness and leisure opportunities, and 2). Promote student interest in the ski and resort industries by creating social/networking events. SOM Social Impact Consulting provides business and management advice to New Haven area organizations that are unable to afford comparable services elsewhere. In doing so, we hope to foster a close relationship between the students of Yale School of Management and the greater New Haven area. We expect to broaden our learning experience through the useful application of management skills while expressing the community values we believe to be integral to our school. The mission of the SOM United Soccer Club is to provide a source of fitness, competition, and camaraderie for SOM students. The group maintains three teams: a competitive team, a recreational team, and an indoor team. All SOM men and women are welcome. The team hosts a graduate school tournament in the fall. The South Asian Club at SOM is dedicated to expanding awareness of the business, political, cultural and social issues related to South Asia. Through events, speakers, movie nights, class trips and the International Month presentation, the SAC strives to create opportunities for SOM students who are interested in South Asia as a field of study to build a network and gain exposure to South Asian cultural and business opportunities. Countries of interest include India, Pakistan, Sri Lanka, Bangladesh, Nepal, Bhutan, and the Maldives. The Yale School of Management (“Yale SOM”) Student Government is the principal means by which students collectively shape their Yale SOM experience and the experience of future classes. The institution fosters communication, respect and understanding among students, faculty, staff and alumni in order to maintain and enhance the Yale School of Management’s unique place in the field of business education. Our purpose is to cultivate the culture of discussion at Yale SOM. We want to ensure that all points of view are provided an opportunity to be voiced and Yale SOM remains relevant in changing political and economic conditions. Harness the diversity of the student body at Yale SOM, who bring with them a wide array of personal and professional experiences, cultural, geographical, political and economic diversity. Enhance the ability of students to listen to opposing views and use insights gained to search for common ground. Practice debating skills on highly relevant and potentially emotionally charged topics. The goal of the Technology Club is to share our passion for technology by educating students about job opportunities available in this sector, connecting students with alumni, and facilitating introductions to hiring managers. We strive to accomplish our goals through one-on-one mentoring, speaker events, job treks, and direct assistance with the internship search. As one of the largest clubs on campus, the Technology Club attracts students with a wide array of interests. Our club highlights the variety of career options for those with non-technical backgrounds. We have established relationships with major players in the technology space (Google, Amazon, eBay, Microsoft) and often meet with companies experiencing massive growth (Airbnb, Yelp, LinkedIn). The Yale SOM Veterans Club exists to assist members in leveraging former and current military experiences to enhance career opportunities within the private sector, build esprit de corps and camaraderie within the SOM Community and host lively leisure events. The Veterans Club is open to all members (both current and former) of U.S. and foreign militaries, their partners and any individual who is interested in embracing leadership issues or learning about the military. WIM seeks to create a welcoming and inclusive community within SOM that encourages discourse and advocacy around critical issues and empowers members to be agents of change in their future workplaces. We also work to increase the pipeline for female applicants and to strengthen the alumni network so that members can continue to learn from one another outside of Evans Hall. The purpose of Yale SOM Crew is to provide both novice and experienced men and women rowers an opportunity to enhance their fitness and rowing ability in a structured environment. While camaraderie between the members is emphasized, the primary goal of the club is to field competitive squads in rowing regattas versus other business schools and post-collegiate clubs. The Yale Grad Rugby Football Club ("YGRFC") was formed in 2004. The club seeks to bring together the graduate community at Yale University through one of the greatest team sports in the world. Each year, YGRFC participates in some of the greatest Rugby Tournaments across the country, including Hogfest at Wharton in the fall, as well as the MBA Rugby World Cup at Duke in the spring. Practices are typically held Monday and Wednesday from 5pm to 7pm when classes are in session, and additional conditiong sessions are scheduled as needed.